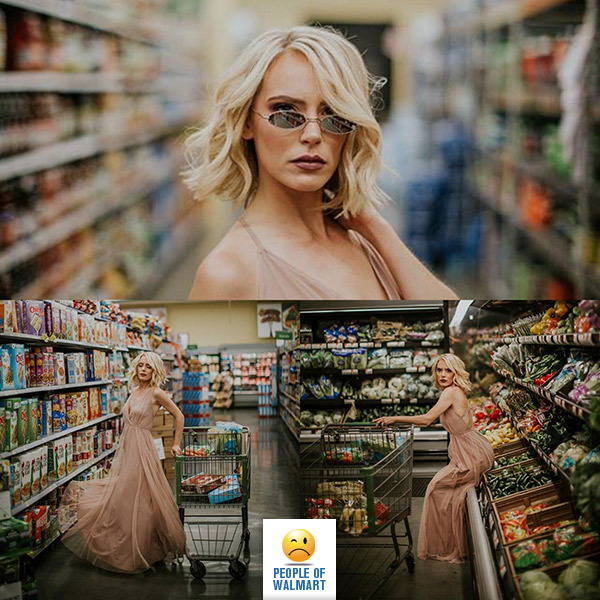 Huge shoutout to this wannabe model for proving that no matter the photo quality or how great your photographer is, a picture taken in Walmart is still #PeopleOfWalmart as f****ck. I think these images’ purpose is to demonstrate contrast. She kinds of resembles a famous actress, but I can’t recall who. The bottom rt pic looks a bit photoshoppish. And most importantly, why the f is she doing a photo shot in WM?!?!?! Yeah girly, poop on that produce!